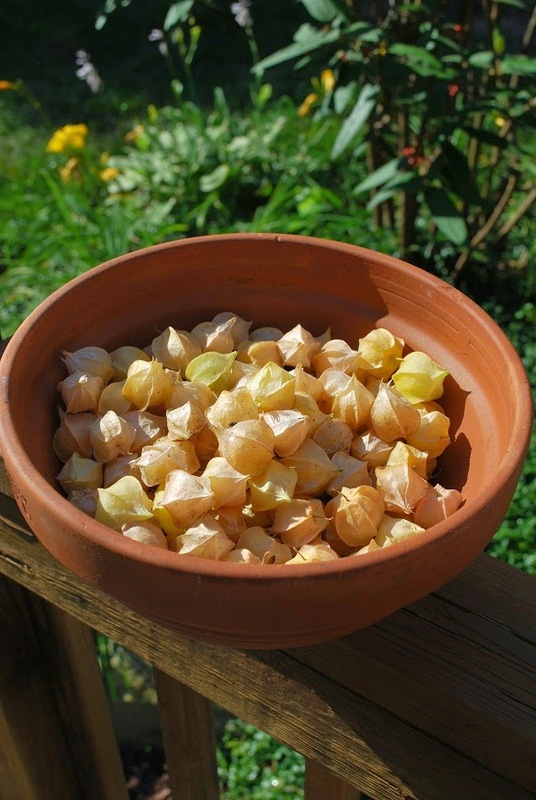 This past winter, I decided to winter sow some Cossack Pineapple Ground Cherry seeds that I ordered from a seed company. Descriptions for the fruit on these unusual plants include "pineapple in flavor" or "mango-like" and I was curious. 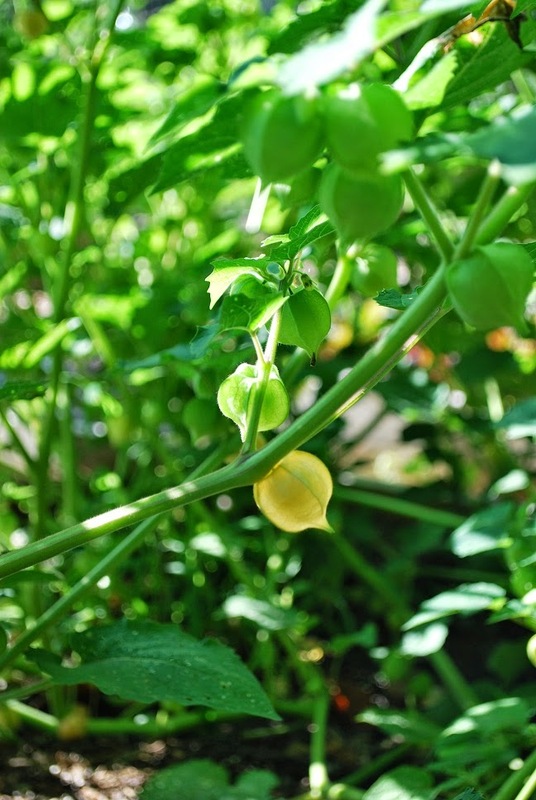 They are in the same family as tomatoes and tomatillos, and from what I've read, they are an old garden fruit that were once grown abundantly, but not any more. The fruit makes an excellent jam, so of course that convinced me to give it a try. 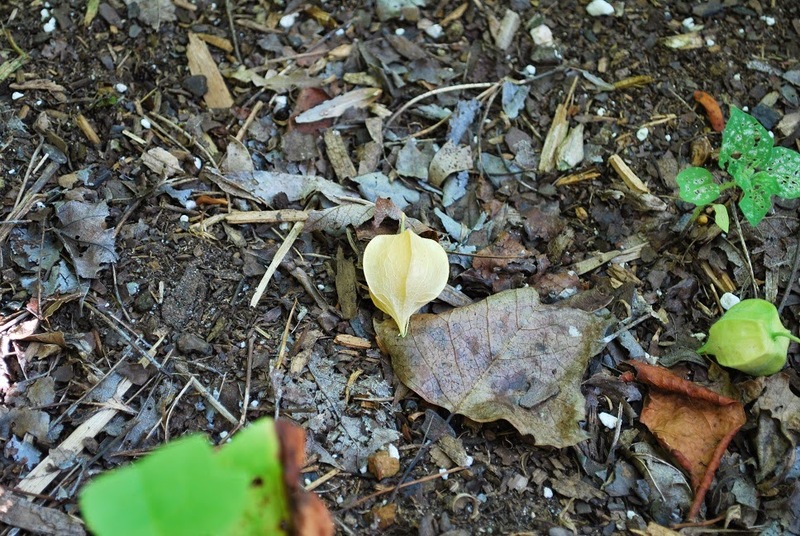 More research revealed the seeds needed stratification (cold weather) to sprout and were notorious for taking a long time to do so. Well, during the winter, time is all you have, so I planted them without any expectations. To my surprise, they have done exceptionally well! At first, I wasn't bowled over by their flavor, but then I learned they needed to really ripen to get that pineapple flavor. 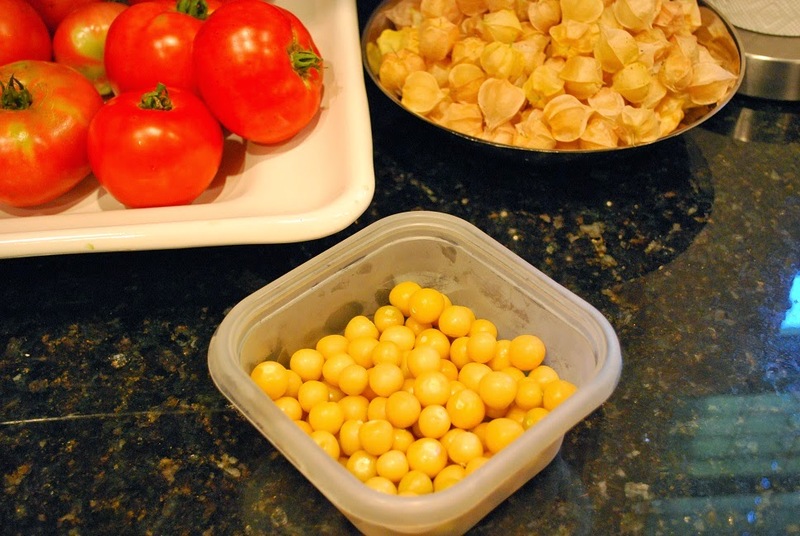 They do look like tiny tomatillos in their husks, but when you peel the husks back, they are about the size of a very small grape. The plants grew to about 4 feet tall! 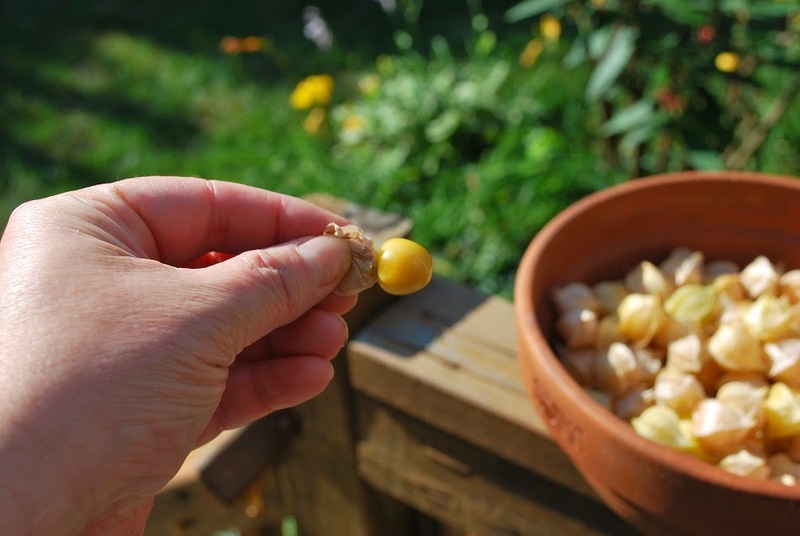 And true to their name, the ground cherries are ready for "picking" when they fall off the plant to the ground. It's like nature's own Easter egg hunt. 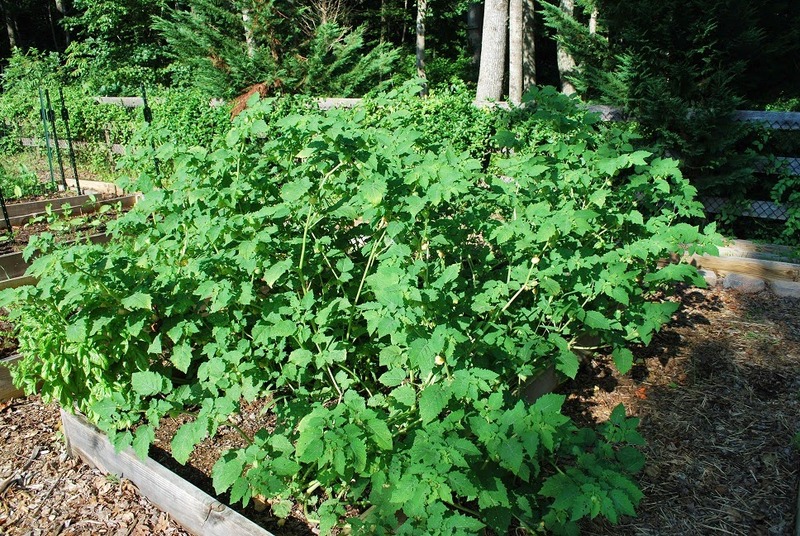 I usually make two or three passes around the bed they are growing in and have been picking a bowl-full every 2-3 days. The plants have been super tough and nothing has bothered them, not even the crows! They have been pestered by flea beetles and white flies, but that hasn't slowed them down at all. More research told me that the cherries freeze wonderfully in order to gather enough for jam, so that is what I have been doing. I let them sit in a bowl for a few days in their husks to fully ripen and dry the husks out before peeling and freezing. I can't wait to see what kind of jam these babies will make!